I just got a pair of used K-New Vaqueros in .357 cal. I opened them up to find that one has a hammer lock and one does not. So I am looking for a spring seat to replace the lock. 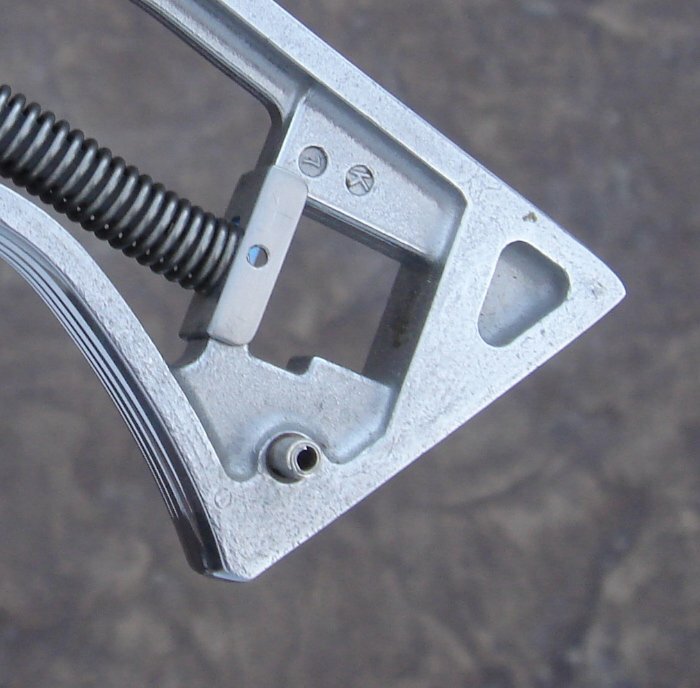 When you remove the lock, there is a big gap that a normal spring seat will not latch onto. So I need a "longer" spring seat. I don't want to replace a $100+ grip frame and fit it. I was told that Brownell's Tech guys had such a "longer" spring perch, but they say they've never heard of it. Has anyone tried a Bearcat spring seat? I heard they are longer. When I removed those POS locks from my wife's NMVs. I shaped a #12 fender washer to fill the gap. Been work'n fine for the last 9+ yrs. Might be worth a call to Ruger, and see if they now have something you could use. Put locktite on the screws and set them to the unlock position. Mine haven’t caused an issue in 5+ years and tens of thousands of rounds. Why fix fix something with a bandaid that isn’t broke to begin with. That SS washer I used, will last longer than either of us will. 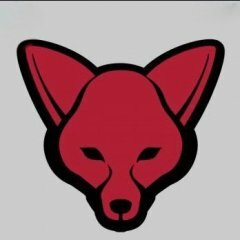 Ruger had a recall, IIRC. I sure do, Purly! I'll send you a PM. 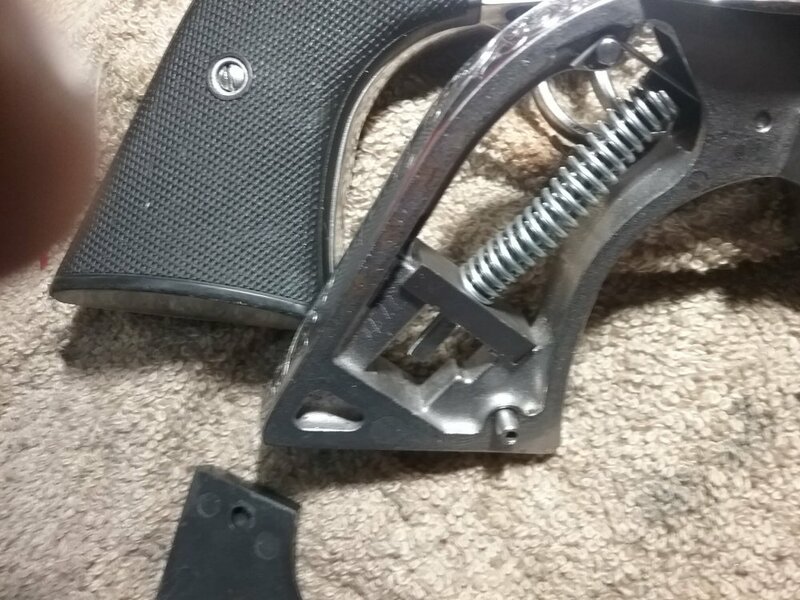 The bearcat spring seat works as a replacement according to others on the Ruger forums. 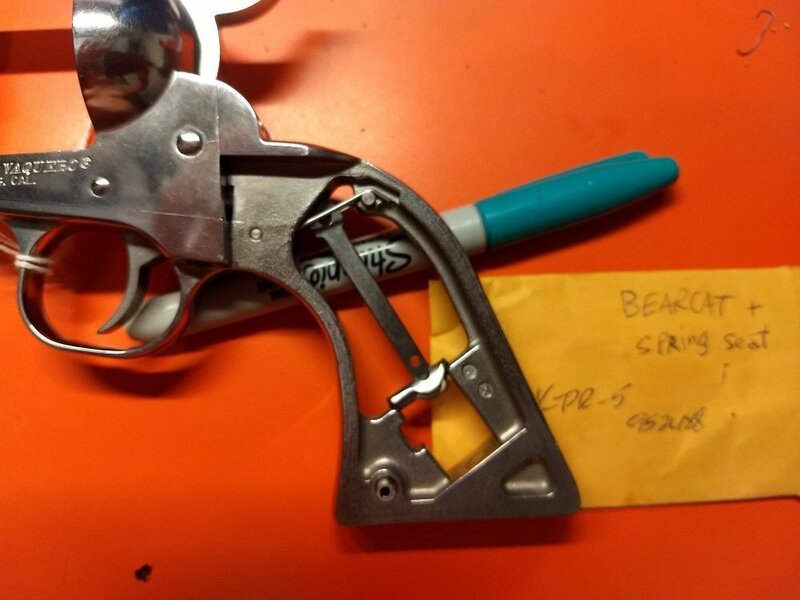 Pulled this photo from the Ruger forum, purports to be a Bearcat spring seat in place of the lock. Caveat:I have no experience with this, just found it on-line a while back and saved it. I have 4 NMV's with the lock, haven't changed them in the 12 years I've been shooting them. Wonder who made the other one? This place is a wonderland of single action expertise. Gotta love it. Great info OLG, like said above ya hate to fix something that aint broke, but those locks have always made me nervous somehow! This sound like any easy fix if for nothing else---peace of mind. All of the suppliers are out of the Bearcat seat now. I will try Ruger directly. Hondo: I really like the looks of the one you build, though. I wish you still sold them. Have the serial numbers of the guns handy-Ruger uses the #'s be be sure they are looking at the 'rite' diagram and parts list. I've seen hobbyist U-channel material made of plastic, aluminum, and brass, but I can't remember ever seeing any made from steel. A hobby shop might have such a thing in 12 or 24" lengths. I have some that I had made up for short stroking. Email or text me if you want one. If you're trying to buy Bearcat seats, do you need a Bearcat serial # ? I would ask Ruger if they have anything not cataloged, to use in place of the 'lock'. But I just ordered a Bearcat #KPR5 spring seat from Ruger. I appreciate that. BTW: How's that SxS doing? I reckon they would not sell anything that knowingly replaces a "safety" device. They want all of their firearms left stock when they go out new or when in for repair. 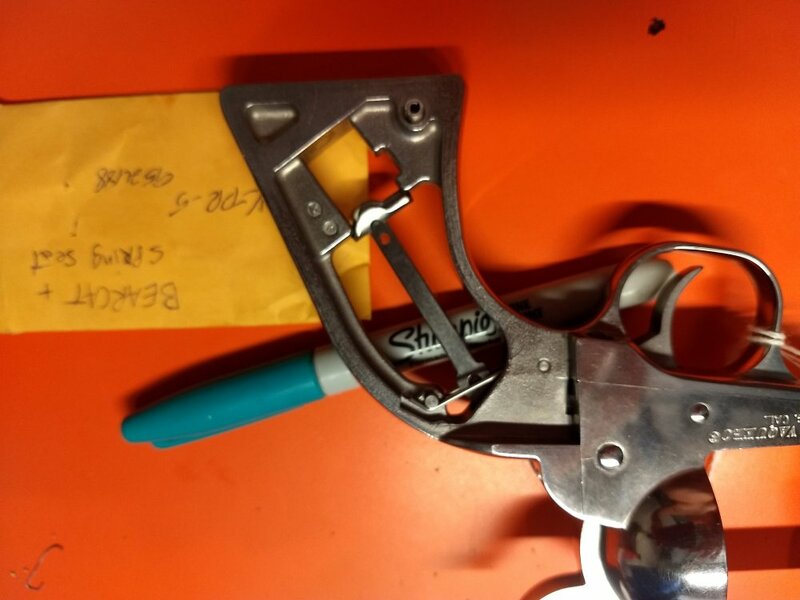 Don't bet on it with the problems Ruger had with those crappy locks coming apart. What did you tell them? Or did you just order a Bearcat seat period. I'm thinking they might question wanting 4. This time they did not even ask for a S/N. But, yes, they usually they do. I have a list of the Bearcat revolvers and when they were built and their S/N's just in case they ask for one. Wonder if you can find some steel channel at the hardware store, and make one. BTW, you have exact same cutout, I had to deal with. Interests:Shooting Shooting And oh yeah, Did I mention shooting? The Bearcat seat just came in. It is too short to catch enough ledge to use in that KNV locking grip frame. I will contact Johnny for his "fixed" spring perch. The long ones that Johnny Meadows has will work. I have used them myself. The long ones that Johnny Meadows﻿﻿ has will work. I have used them myself. He doesn't show it on his site. Not on my Wife's NMV. I had to file a notch on the side, just below the strut's hole.